"Can be made any time of the year, thanks to frozen blueberries." Cool and then remove cake from pan by loosening edges with a knife. Place frozen blueberries on top of cake. Melt jelly and spoon over blueberries to glaze. Chill until ready to serve. 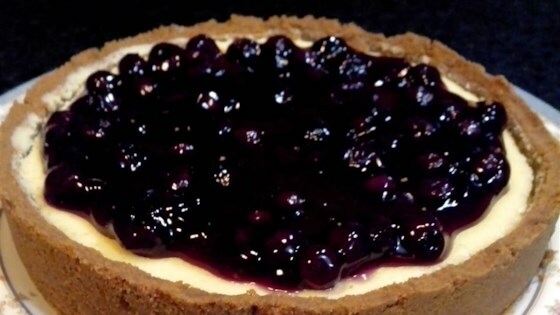 love this one I put the blueberries in the batter and toped the cake with blueberrie pie filling and chilled it. It was great. Bravo!! Excellent! Easy and great!